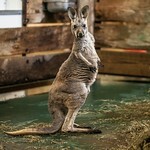 The largest marsupial, red kangaroos can reach up to four feet tall and weight up to 120 pounds. 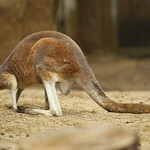 The species is bipedal and moves by hopping on its large lower legs, using its thick tail for balance. 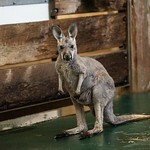 Its head is long and narrow, with large ears, and the marsupial's small arms are used for grasping food and grooming. Common. 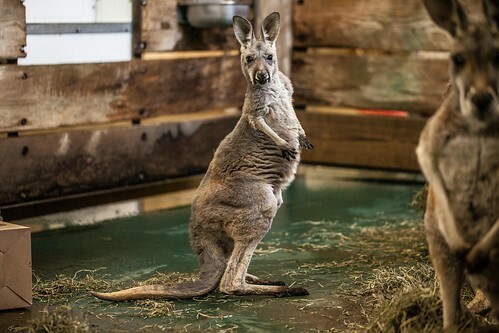 Lincoln Park Zoo participates in the Red Kangaroo Species Survival Plan®, a shared conservation effort by zoos throughout the Association of Zoos and Aquariums. 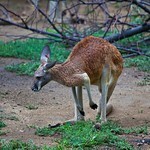 Red kangaroos feed by grazing on grasses and plants. Accustomed to dry conditions, they can go for long periods without drinking, gaining moisture from the plants they consume. In the wild, red kangaroos live in large groups, called mobs. 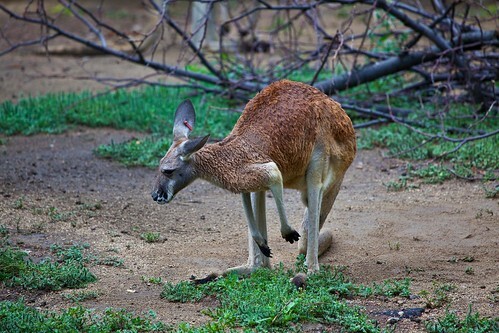 Like all marsupials, female red kangaroos give birth to relatively undeveloped offspring. The young, called joeys, weigh less than an ounce at birth, remaining exclusively in the mother's pouch for several months as they continue to grow. 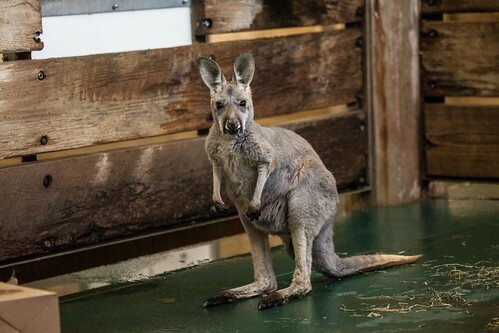 Once they've developed sufficiently to leave the pouch, joeys continue to return for feedings and security until they're nearly a year in age. 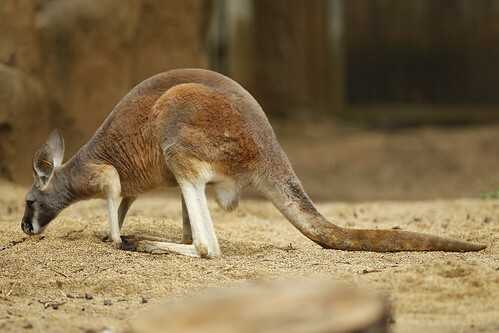 Powerful muscles in the kangaroo's legs enable it to jump as far as 30 feet in one leap. Over short distances, the species can move as fast as 35 miles per hour. Males compete physically for the opportunity to breed females, striking each other with their arms and feet.